We have completed our work on the basic physics that relate to the thermodynamics of aircraft engines. Through the use of these physics, heat emission and the time limit before mechanical failure of the powerplant become far more detailed, while engine management becomes more flexible and adaptable to the conditions it is under (weather conditions, atmospheric conditions, operating conditions and others). 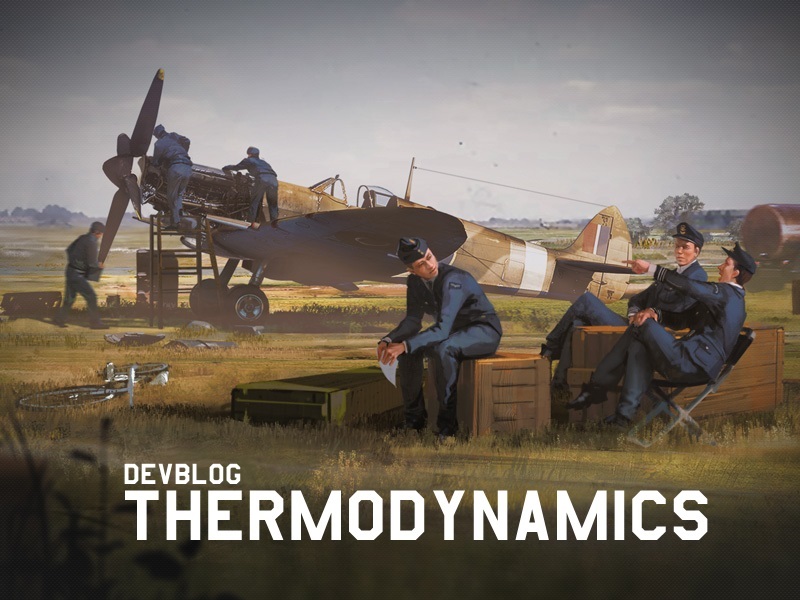 In Arcade battles the current situation with thermodynamics will not change. But for those who prefer Realistic and, of course, Simulator modes, information about the new thermodynamics will be extremely useful. So what’s new? The current implementation did not take most of these factors into account, so temperatures were not very affected by engine settings: for example, with the fall in manifold pressure and power upon ascent over critical altitude, the temperatures continued to rise. The new heat emission model will now take all these factors into account, so that during flights higher than the critical altitude for the engine, the equilibrium temperatures are reduced, which allows for longer flight duration at higher altitudes than at lower ones. “Equilibrium temperature” is now determined by the balance between the radiated heat (the heat is radiated by radiators, the engine itself and the cowl, etc.) and the heat generated by an operating engine. Depending on the position of the oil or air radiators, the radiator flaps, the amount of heat radiated will change.The effectiveness of the radiators has also been modelled more realistically – the main working area of the radiator flaps is set between 10% to 40% opening, so that any further opening of the radiator flaps only results in an insignificant “Equilibrium Temperature” reduction, but still provides a few more minutes of safe engine operation. It is generally enough to open the radiator flaps to 20-30%, as this will not cause a significant decrease in flight characteristics but will allow the engine to be used with a normal temperature setting. The effectiveness of heat radiation depends on the weather conditions during the mission. Heat transfer with the environment is more obviously more effective in cold weather, so the radiator needs only to be opened very slightly. However, in a hot climate, the reverse is true so the the radiator flaps should be opened wider than normal. The speed of temperature change now depends on the difference between the current temperature and the “Equilibrium Temperature” under current engine settings: the greater the difference between temperatures, the more intensive the heat transfer is and the higher the speed that the temperature changes. This is an advantage in aircraft engines – due to the difference in temperatures being higher when the engine settings are changed, the heat transfer is more intensive, so that temperatures change faster and these engines cool down and warm up quicker. What this means is that the temperature readings and indicators in every engine setting need to be monitored and the acceptable operational time should not be exceeded. The maximum setting may be used for fifteen to thirty minutes in the majority of aircraft, while the War Emergency Power setting can be used for 5 to 15 minutes or less. If temperature limitations are not adhered to and the engine is significantly overheated, the operational time is reduced to a minimum, going down to as little as under 100 seconds. Time is also limited at other settings – the lower the power and heat emission of the engine the longer the engine can be used under that setting. It is also possible to achieve longer operational times by setting up the engine in accordance with current conditions, by doing things such as fully opening the radiator flaps, it is possible to get another few minutes of operation under the War Emergency Power setting. The more the “Equilibrium Temperatures” are lowered, the more safe engine operation time can be achieved. The new display system has changed the logic of the way that information about the current state of the engine is displayed. Because the operational time of the engine is now affected by heat balance and the current temperature, it was decided that the timer should no longer be used. After the engine has been operating for an extended period, it requires time to fully restore the time limit. This means that the engine needs to be cooled and lower power settings should be used for a short while so that the engine can “rest”. Generally, approximately half of the time limit of the required setting is needed for full engine recovery (for example, when WEP is used under automatic engine control for 5 minutes, it means that after this limit is reached, the aircraft should fly at 100% for around 2.5 minutes to recover all 5 minutes of the WEP limit). The automatic management is connected to engine control devices – when the pilot sets the engine setting (by lowering or increasing the throttle) they also set the desired temperature, which is maintained by the automatic radiator management thermostats. In this way, the optimum flap position is maintained during level flight with constant power settings and speed. When the setting is changed to a more powerful one, the radiator flaps are fully closed while heating up to the new automatically set temperature, which serves to both speed up warm-up time and decreases the drag of the plane, allowing for more snap acceleration. On the other hand, when the engine setting is changed to a less powerful one, the radiator flaps will open fully until the engine cools to a new “Equilibrium Temperature”. When the time limits are exceeded, the engine begins to lose power, operation becomes unstable, revolutions fluctuate and other issues can occur. However, even a damaged engine can be saved if you react in time and change the setting to one that is less demanding, such as setting the engine for minimum revolutions, 50% throttle and fully open radiators to cool the engine to a suitably low temperature (so that the temperature indicator shows that the minimum time limit has been restored where it stops blinking). These actions will prevent further damage to the engine and maintain partial engine performance which is enough to return to the airfield and even to be able to participate in aerial combat. The possibility of saving the engine and its remaining power as well as the speed at which the engine accumulates damage depends on the degree of overheating. For instance, if the engine is heated to the boiling point of the coolant liquid, it will guarantee that the liquid form continues to be lost and a vapour will be formed, leading to the inevitable death of the engine after the effective coolant liquid runs out. However, damage that occurs as a result of exceeding time limits at a setting which uses a normal temperature will happen slowly and will provide enough time to cool and preserve the engine. The higher the temperatures at which the time limit is exceeded, the faster the engine will become damaged and lose power. The majority of aircraft currently use a general thermodynamic setting which is a conversion of temperature settings from the old (current) model, i.e. the temperatures and settings of the old implementation of thermodynamics are modified using general rules and templates that are appropriate for aircraft, while features of the old model are retained. For example, if the plane has not overheated under any of the settings then the converted thermodynamics will also have relatively soft temperature settings and time limits and if the aircraft had problems with overheating under the old model, then the temperature settings under the new model will also be more punishing. In future, when flight models are being implemented, the temperature model will be applied in accordance with real-life data. Soon, it is planned to add separate controls for cooling systems (oil radiator and engine/water radiator). At the moment, both systems work together. We have just begun the second phase of the new thermodynamic implementation. Implementation of the core mechanism and automated conversion for all Flight Models. For most aircraft, the new thermodynamic model currently uses data converted from the old dataset. We have extracted as much information as was possible from the old implementation and used it to configure the new one. Already, players will notice a clear improvement in realism with a better balance between the various engine cooling systems, a more accurate temperature buildup with a high performance engine setup, weather conditions, locations and altitude all affect temperature changes. We are closely monitoring the new system in order to have the core mechanics run without bugs and it should be finished fairly soon. Our team is also testing the mechanism internally, but make sure to report issues and provide bug reports if you spot any issues! Final tuning of the Flight Models will be performed manually. Since the new thermodynamic model is able to accept more parameters than the old one in order to match real-world engines in terms of thermodynamics in different modes and conditions, Flight Models will be further configured with this data. As mentioned, these parameters are currently defined using our automatic convertor. 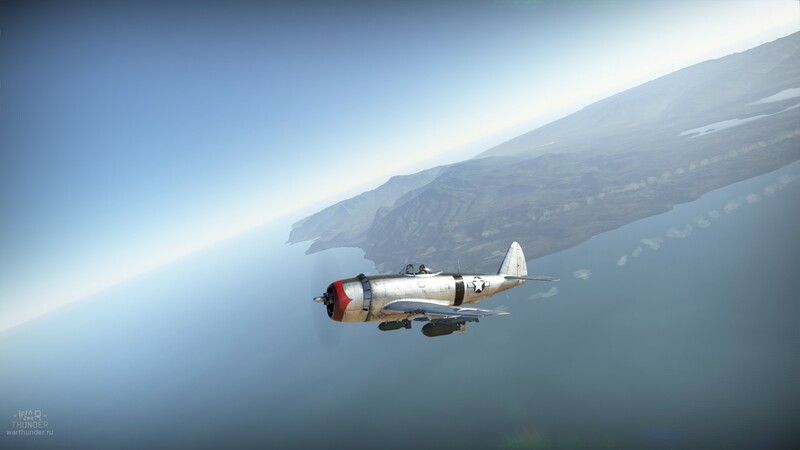 With the new mechanism in place and bug free, we are going to update all aircraft flight models manually to further improve realism. Hundreds of aircraft are going to be updated and tweaked with the new data, so this phase will obviously take the greater time. 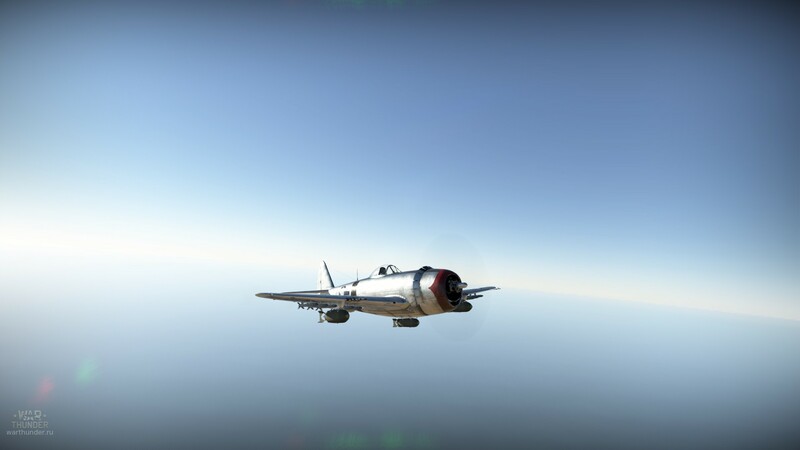 Note : We had feedback regarding overheating on 100% throttle or WEP – As a reminder, many planes engines are not meant to be operated at maximum power all the time. Full power (100% or WEP depending of the plane) will often result in a temperature build up over time and thus, overheating.